Paris is basically one big city museum. Even on my second trip to the city in 2010 (once before in 2004), I felt the same. Everything, even the random building on a side street corner, could pass as a stylish masterpiece. The Louvre is probably in the top three of everyone's itineraries. Unless you're really into historical art, it's probably way bigger than you'd expect or like. We decided to just check out the Denon Wing of the museum, as it had the famous Mona Lisa painting. At night, we checked out the sparkling Eiffel Tower, going up to the top deck. It wasn't too crowded at the time, and it gave spectacular views of the city and the Seine river running through it. There are also boat cruise tours down below that will take you on the Seine river around a lot of the city's landmarks, like the Notre Dame cathedral. After the boat tour, we were able to go the well known Moulin Rouge. It was a great experience, very entertaining with a little bit of cheesiness. I actually found the acts during intermissions to be equally as entertaining as the show itself. (My Yelp review). 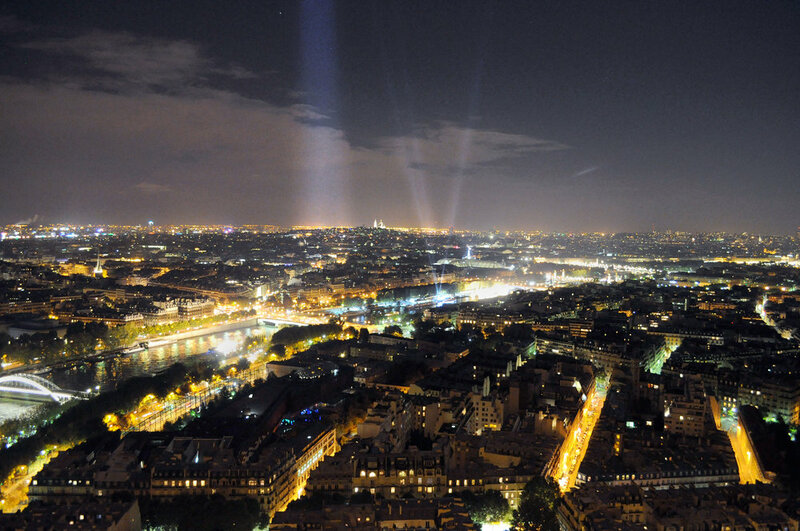 Paris is a unique city and it's easy to see why it's one of the top tourist destinations in the world. Even having been there twice, I'd love to go back and experience more.